Collecting hand-made and vintage items for your home gives it character and warmth while keeping your footprint light. 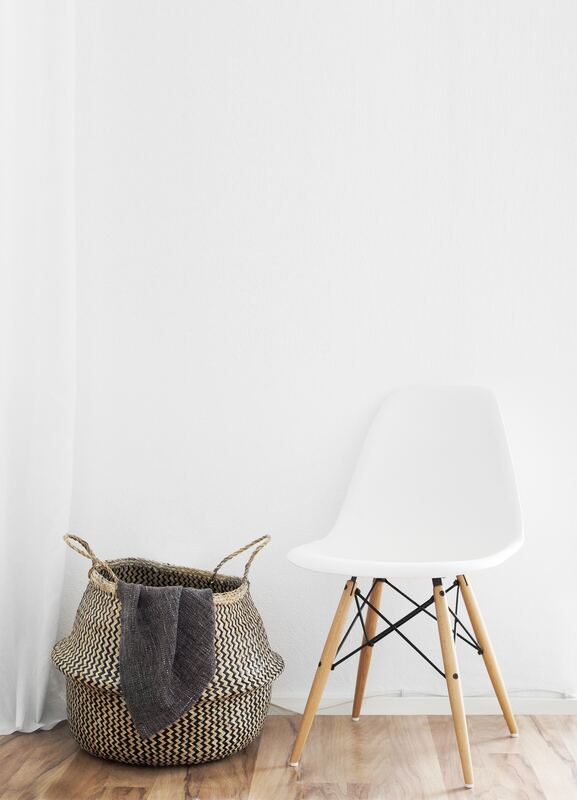 This fair trade basket and Alpaca throw can be found at Storieshop in Paris and the vintage chair from a local flea market. Photo by Sarah Dorweiler.